Every year the Architectural League of New York recognizes eight dynamic young firms as Emerging Voices that have the potential to become leaders in the field. Historic winners like Morphosis (1983) and Toshiko Mori (1992) have become today's lions, and practices like Johnston Marklee (2007) and Tatiana Bilbao (2010) have jumped to new heights after recent wins. This year's crop was selected in a two-stage portfolio competition where a jury of architects selected the winners. The deciding jury included several previous winners like Dominic Leong (2017), Fernanda Canales (2018), and Marlon Blackwell (1998), giving the process a familial feel. Laureates for 2019 come from across North America and almost all are partnerships or collaboratives—capital letters feature prominently, too. MODU will lecture at the Scholastic Auditorium at 130 Mercer Street, New York, New York, at 7:00 p.m. on March 28, as part of the Emerging Voices lecture series. Phu Hoang and Rachely Rotem are architects without borders. This is not to say they’re traveling around the world doing good where it's most needed—although they are indeed doing both of these things. Rather, they’re working toward an urban future that fosters deeper and more direct connections between people and places. It’s not just a form of design, says Rotem. 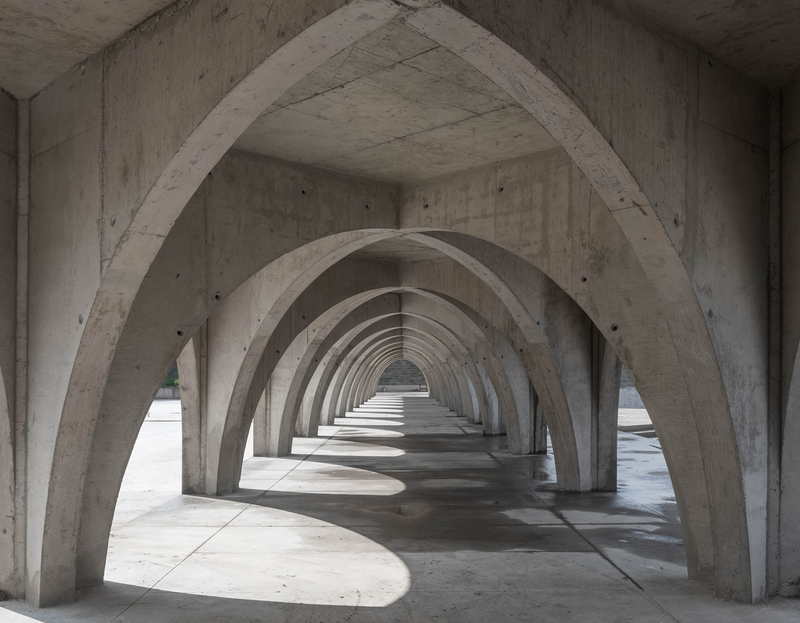 “It’s a form of wellbeing.” Their Cloud Seeding pavilion elegantly embodies this connection between architecture and the environment. 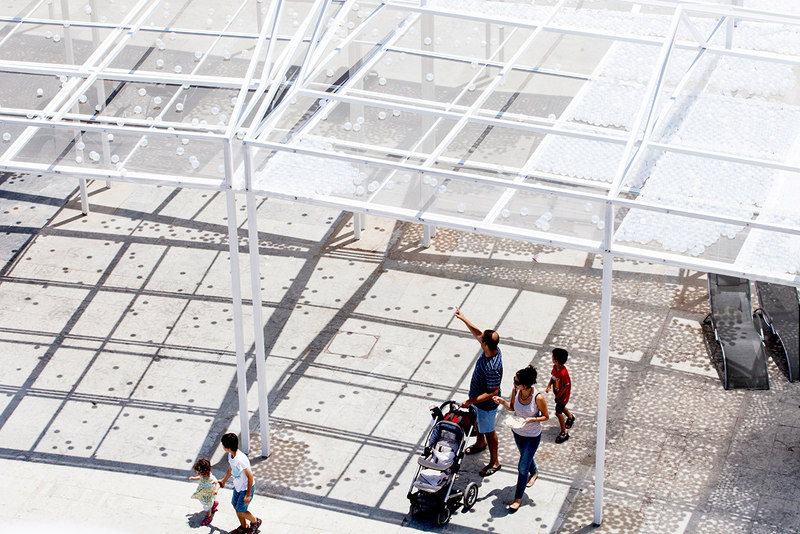 Designed to shade a sun-battered plaza in front of the Design Museum in Holon, Israel, the pavilion is a minimal interpretation of a vernacular greenhouse with a ceiling that encloses 30,000 balls rolling freely in the wind. 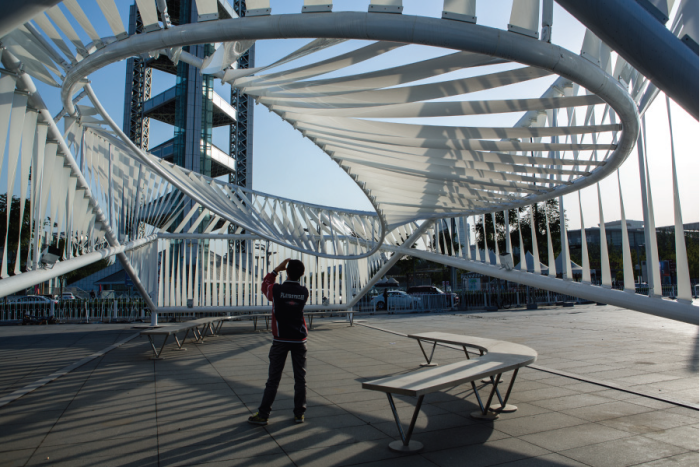 The shaded areas beneath the pavilion change with the weather, reprogramming the plaza. The idea of “climate” has become abstract and politicized, but weather is immediate. “Weather, for us, is a medium to allow for experiences,” says Rotem. “We see a world that is overabundant with information, but truth is unclear. 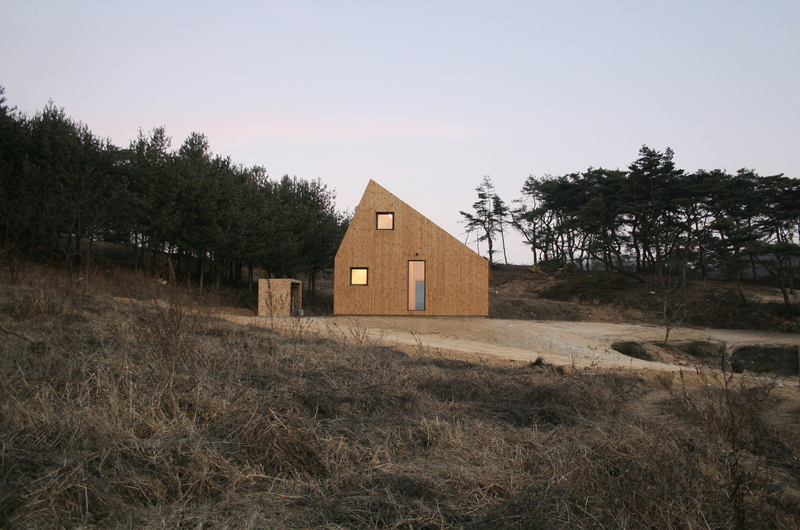 Connecting to the environment is a form of truth.” Hoang agrees, adding, “I think it's important that architecture play the role of connector rather than separator. That may mean drawing the public realm into the private realm, and rethinking what both those spaces can be.” It may also mean creating indoor weather. Intake is a proposal to adapt an abandoned shipbuilding factory for light-manufacturing and commercial use. The 50,000-square-foot structure will be subdivided and conditioned by invisible walls of high-velocity air that create and maintain distinctive climactic zones tuned to each place and program. MODU’s fascination with abandoned buildings—what they call the “Incomplete City”—solidified during their recent Rome Prize fellowship, when they visited hundreds of unfinished structures. They’re building on that experience with the interdisciplinary pro bono initiative Second Life. 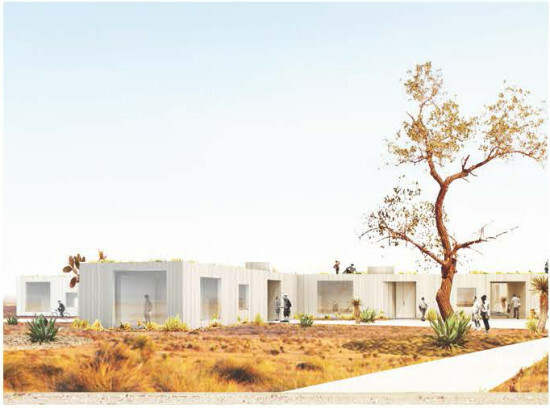 This project aims to help revitalize communities through temporary, self-sustaining interventions—“mini-buildings”—in vacant structures. Currently, MODU is working with urban planner Naomi Hersson-Ringskog and the residents of Newburgh, New York to help preserve, protect, and program the city’s 300 vacant buildings until the town has the resources to find a more permanent solution. Hoang and Rotem also blur the boundaries of their practice, working in multiple modes simultaneously. Their conceptual work, built work, research, teaching, and urban initiatives inform one another and allow the firm to continually develop, test, and refine their ideas. Through discourse and design at scales both large and small, MODU’s indoor cities and outdoor rooms ultimately ask one question: How can we live better?